June 27 – With AC Milan expecting to hear their fate this week over whether UEFA will sanction them with a ban from European football for breaking financial fair play rules, the club’s Chinese owner Yonghong Li appears to have walked away from a deal with US billionaire Rocco Commisso. Commisso was reportedly close to closing a €500 million deal last weekend that would see him buy the club and cover the €300 million loan from a US private equity fund Elliott Management debt. Commisso is owner of the New York Cosmos and a driving force behind the NASL last season but which has currently suspended play after losing its official division 2 status in the US. He is also the chief executive of Mediacom. He had said that he was ahead of the Chicago-based Ricketts family in the bidding for AC Milan but talks have faltered over Li changing the terms of the deal and asking for more money. Commisso is reportedly backed in the acquisition by Goldman Sachs. Some of the value in the deal will be predicated in AC Milan being allowed to compete in the Europa League which is likely worth €20 million to the club and could be a lot more. A ban from European competition, even if only for a year, severely restricts the clubs earning capacity. Li acquired AC Milan in April 2017 for about €740 million. The club then went on a player acquisition spree spending more than €200 million. That spending has landed the club in trouble with UEFA’s financial fair play spending that has now seen them referred to the Adjudicatory Chamber of the UEFA Club Financial Control Body (CFCB) by its investigatory chamber. The result looks likely to be a ban from UEFA club competition. 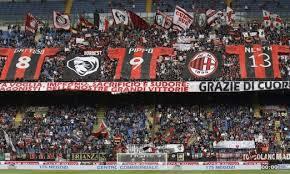 The club finished the Serie A season in sixth place, qualifying for the Europa League. Milan have incurred losses of €255 million in the past three seasons – significantly more than the €30 million allowed – and late last year a Milan delegation reportedly travelled to UEFA headquarters to explain the current business plan. Under UEFA regulations, any team that spends more than its generated revenue faces possible sanctions. However teams are able to ask for a waiver to FFP rules under a so-called ‘voluntary agreement’ scheme. The club requested this wavier, but their petition was rejected. “There are still uncertainties in relation to the financing of the loans to be paid back in October 2018 and the financial guarantees provided by the main shareholder,” UEFA said in a statement in December.